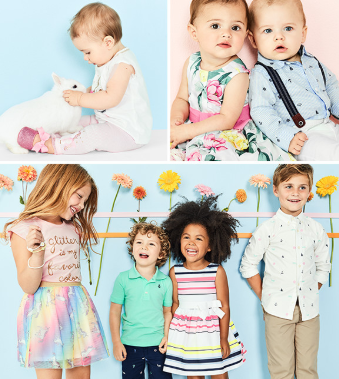 Spring is in the air – enjoy 50% off on Carter’s! There’s no denying that children outgrow their clothes quickly – that just means they’re growing up healthily! Suffice to say, finding great bargains and the best deals to complete your kids’ wardrobe is definitely a must for parents. Well, we have just the thing for you then. Sweet, sweet spring is in full swing over at Carter’s! It’s now offering up to 50% off sitewide. Plus you get an extra 20% off for purchases over USD40 when you use the “SPRING20” promo code! Also, don’t forget to use our US warehouse address at checkout to enjoy affordable international shipping using Buyandship. So make like an Easter bunny and hop to it to enjoy the sales over at Carter’s.